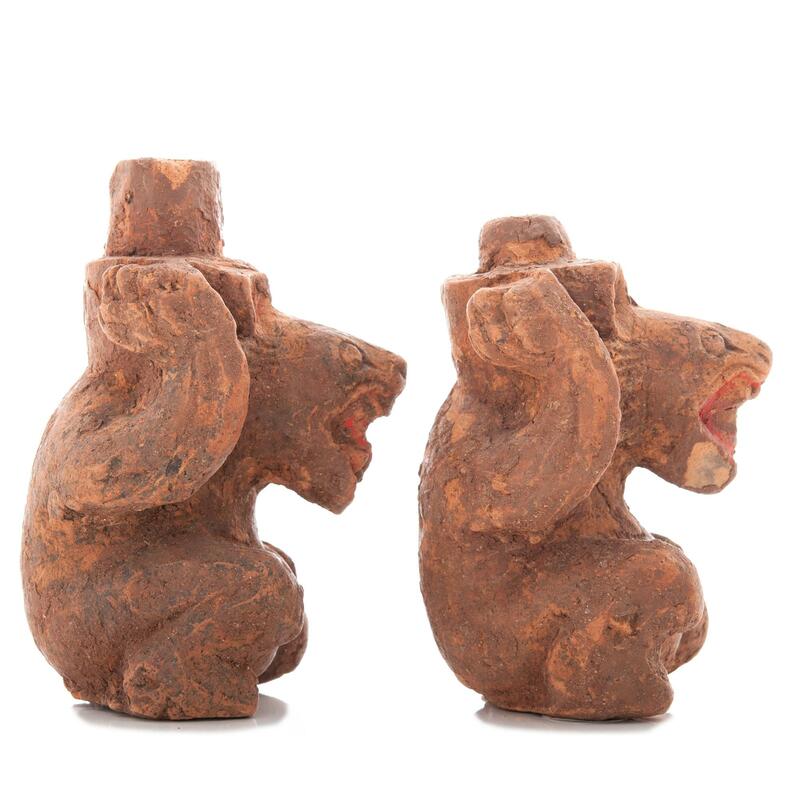 Pair of small Chinese pottery bears with unfired pigments. 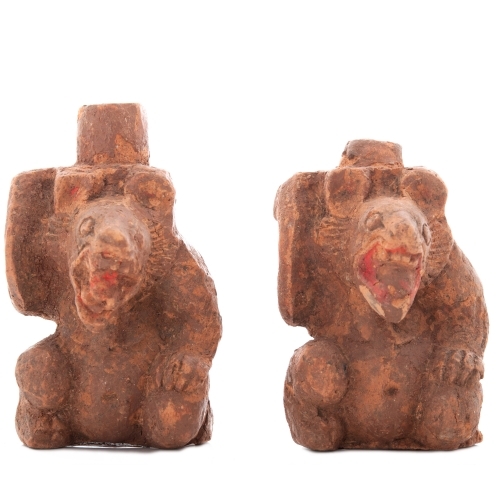 Pair of small Chinese pottery bears with unfired pigments. 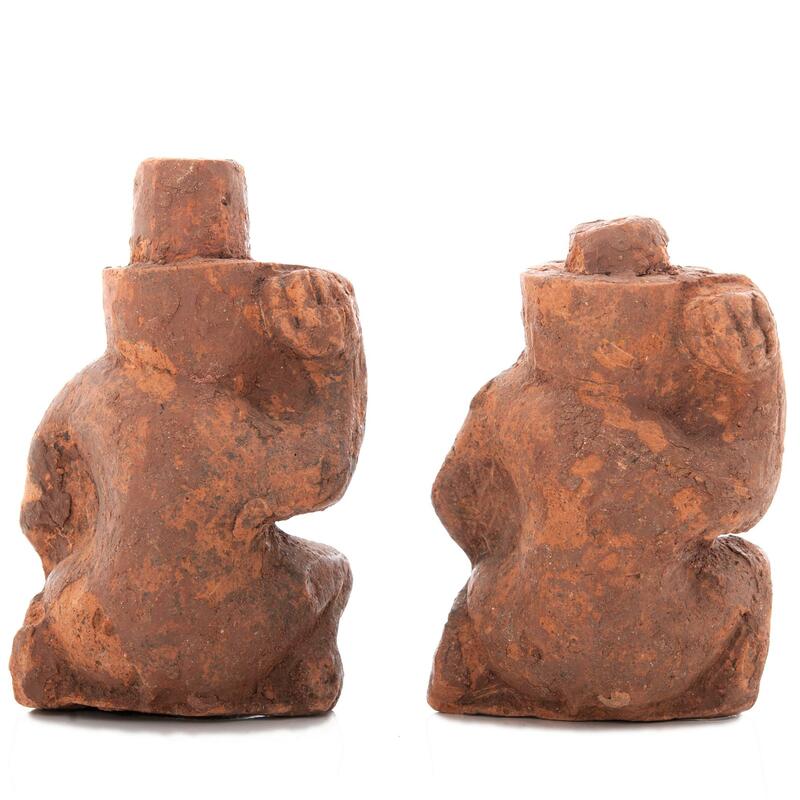 Han period circa 2nd/3rd c CE (supports for a vessel). Probably from Sichuan.